Outstanding Crochet: Irish Crochet Pattern. Tunic/Dress. Motifs pattern. Irish Crochet Pattern. Tunic/Dress. Motifs pattern. Irish Crochet doesn't have to kill your eyes. 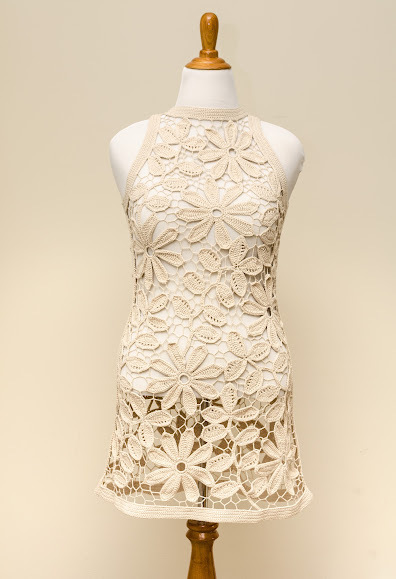 This tunic is made out of #10 cotton crochet thread, 2 together for the motifs and 1 for irregular netting. This one is gorgeous as well!